The branch of dentistry that deals with the reconstruction of worn and damaged teeth, the replacement of missing teeth and related mouth, jaw or facial structures by artificial devices. BOH Prosthodontics is our team of Prosthodontic specialists in Brisbane – Dr Brian Fitzpatrick, Dr Mark Elliott, Dr Stephen Robinson and Dr Peter Greer. Our Prosthodontists have pooled their experience and knowledge, enabling them to offer collaborative, team developed treatment plans and a promise to deliver a heightened quality of service. BOH Prosthodontists offer evidence based interventions using the latest materials, equipment and techniques, along with the prompt, high quality services of our in-house laboratory (Studio 12). Our treatment solutions are derived from the best available diagnostic information and are tailored to respond to the social, financial, and logistic parameters provided by patients. We also recognize the importance of the relationship that referring dentists share with their patients and we seek to ensure the continuity and integrity of that relationship. Scheduling and delivery of all Prosthodontic and implant surgical services is achieved within a patient focused, caring environment. State-of-the-art digital diagnostic equipment, software and operating equipment is used to ensure low impact, time efficient, and comfortable delivery of services to our patients. Dental veneers are a restorative technique that allow your dentist to attach a thin layer of tooth-coloured material to the front of your tooth. Materials used for veneers include composite resin and ceramic. Veneers can be used to treat chipped, worn or discoloured teeth, and many other concerns in terms of dental aesthetics and structure. Would you like to replace a missing tooth? A dental implant can provide the form and function of a natural tooth, and is finished with a crown that is often indistinguishable from your surrounding teeth. We provide a full range of Dental Implant services, from implants that replace a single tooth, multiple teeth, to complete arch tooth replacement. Dental crowns and bridges are used to restore single and multiple teeth respectively, and are placed over the teeth to protect them and restore shape, size, colour and appearance. Matching your smile, these restorations are made directly by our highly-skilled team of Prosthodontists and laboratory technicians. The result is a restoration that is structurally and aesthetically viable over the long-term. Whether you are in need of a new denture, or would like to have your existing denture adjusted or repaired, our Prosthodontists can help you. We provide full-service across all denture types, whether it’s a full denture or a partial denture. We also provide implant-retained denture systems. This lets you snap your denture in and out of place using a series of implants that act as anchors for your denture. Do you need a consultation to assess if your dental implant is still sound? Our Prosthodontists regularly help manage complex dental cases, and can help you maintain any previous dental treatment. Dental restorations are a significant decision when it comes to your dental health, and our Prosthodontists regularly field enquiries from patients who are seeking a second opinion or specialist input into their dental treatment. Prosthodontic treatments, such as dental implants, often require dental surgery for placement. This is an important health decision, and we are fortunate to have a team of field-leading Prosthodontists to provide the best environment for our patient’s dental treatment. We operate in a patient-first practice, and this means that throughout your treatment, we place your priorities first and foremost. As a Dental Specialist, a Prosthodontist is often called in to help with complex dental cases – and dental treatments that require the coordination and overarching understanding of multiple dental specialty areas. “Prosthodontics is one of nine internationally recognized dental specialities, and pertains to the diagnosis, treatment planning, rehabilitation and maintenance of the oral function, comfort, appearance, and health of patients with clinical conditions associated with missing or deficient teeth,” says Dr Brian Fitzpatrick. This means that your Prosthodontist is in a prime position to help manage and facilitate multidisciplinary treatment plans, and a Prosthodontist typically works in conjunction with your General Dentist to achieve the highest standards of patient care. What is the difference between a Prosthodontist and a Dentist? A practicing Prosthodontist focuses on reconstructive, aesthetic, and implant dentistry. They train, operate and manage the teams required to tackle complex restorative dentistry. “A General Dentist and a Prosthodontist receive the same university training in general dentistry. After completing a minimum of 2-3 years in general dental practice, a dentist may apply to specialize in Prosthodontics, which involves three years of full-time post-graduate university education. Once accepted into an accredited course, this prescribed training focuses on the spectrum that encompasses Prosthodontics – including scientific research,” says Dr Brian Fitzpatrick. Prosthodontics is recognized by the Australian Dental Council, and after completing their post-graduate study, a Prosthodontist may register with AHPRA as a dental specialist. Why do people see a Prosthodontist? A Prosthodontist is specifically recognized for their expertise across a wide range of treatments that help to restore the function, structure and appearance of your teeth and supporting structures. This can involve a single tooth, multiple teeth and other missing or damaged oral tissues. A Prosthodontist is trained and dedicated to achieving an expert level of understanding and clinical competence in this specialty field. Often, a Prosthodontist is consulted to offer treatment advice and expertise as a resource to other members of the dental team, in order to facilitate positive patient outcomes. Prosthodontists are also called upon to give a second opinion to patients seeking advice about their existing care and to provide expert advice in medico-legal matters. 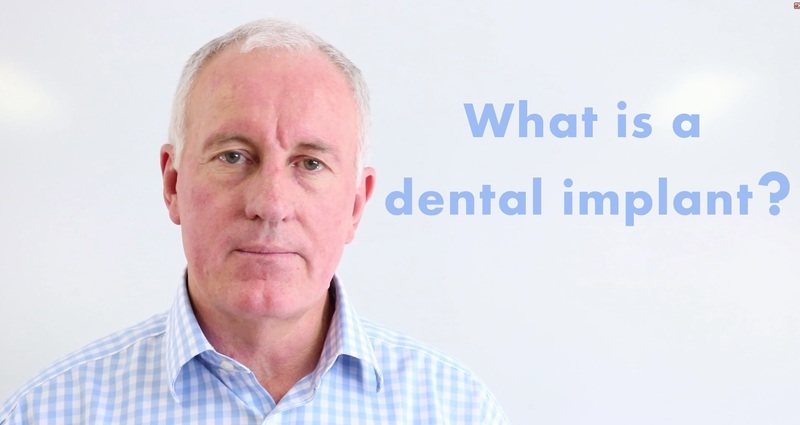 Dental Implants Video | What Are Dental Implants? Private Health & Dentistry | Is Treatment Becoming Cheaper?